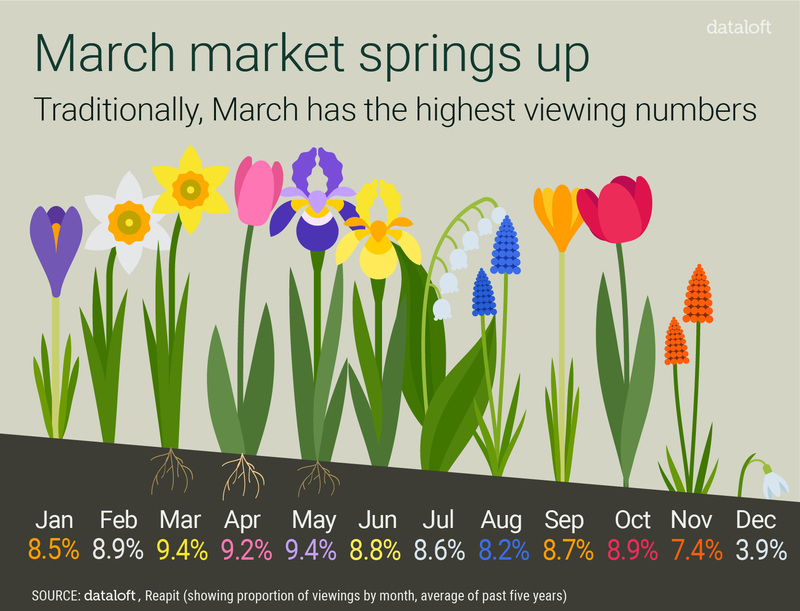 On average, over the past five years, March has been the busiest month of the year for property viewings, with May and then April following in second and third place. Indeed, if history repeats itself, agents will be carrying out 28% of the year's viewings over the next three months. The success of the 2019 spring market remains to be seen but early indications suggest that demand might not be as subdued as first thought. In January and February 2019, viewings levels were just 4% below the average recorded in the last five years.